Cornelia Walton was born June 11, 1912. On February 08, 2019 God called one of his special angels home. Cornelia was the first of two children born to the late Johnson Watson and Daisey Watson. Cornelia accepted and received Jesus Christ as her Lord and Savior at an early age. 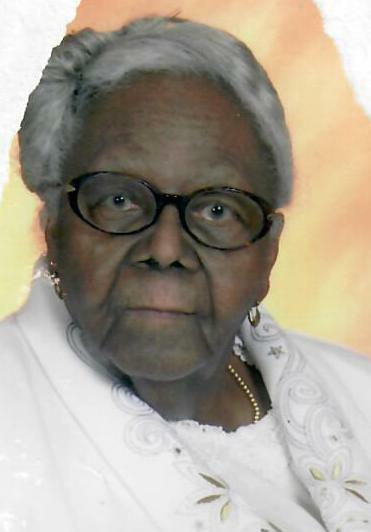 She was a member of the Ladies Aid and Pulpit Guild, dedicated to her home church (Forest Baptist Church) in Meherrin, Va. She was vice president of the Forest Harvesters, a gospel singing group. Her favorites “Jesus Paid It All” and the “90th Psalms”. She later moved to Baltimore, Maryland where she met and married the Love of her life Waverly “Buck” Walton on June 30, 1930. In 1932 they became faithful member and joined Faith Baptist Church under the leadership of the late Dr. Simon Williamson. Cornelia worked in the Central Sterile Department for Sinai Hospital. She also enjoyed her employment at John Hopkins Hospital as a Laundry Attendant. She is preceded in death by one Sister Fannie Morton-McLean, son Silas “June” Hurt Jr. and parents Johnson Watson and Daisey Morton. Cornelia leaves to cherish her memory: Three loving grandchildren Joanne Hurt, Jerome Hurt, Kim McNeal. 8 great grandchildren- Jerome Jr., Dana ,Stephen, Lynnia, Jerald, Jessica, Gregory, Christopher, Jerica; 24 great great grandchildren, 9 great great great grandchildren. One special niece Angela Jones, One Goddaughter Bernita Paige, three Life Long friends Carolyn Turner, Debbie and Charles and a host of family, friends and associates.